ArcaneBet Review - Esports Sportsbook With a Special Bonus! Finally, an esports bookie with a nice and unique design. ArcaneBet has one of the better designs out there for a betting website. They use a dark color scheme which includes different shades of blue, purple and black as well as some white accents throughout the page. It is clearly very well thought out. 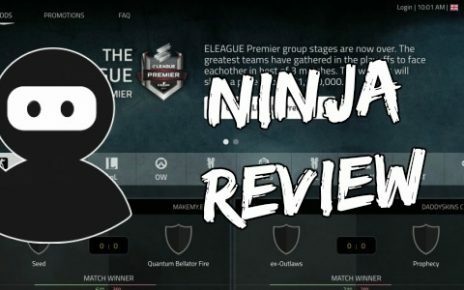 The background of the site is unlike any other out there, with what looks like a counter-terrorist from counter-strike on the right of the page and on the left, a League of Legends character. They fit in very well with the existing color scheme and add a bit of originality at the same time. The top of the platform includes the name of the company as well as a sign in area. Below that are some dedicated tabs and scrolling down will reveal more and more matches to bet on. However, these tabs are unlike any other sites’. Instead of just writing the name of each game, ArcaneBet actually uses the logo which gives it a much better aesthetic. On the right, you will find your betslip as well as any matches that are currently live. However, the reputation of this website is a completely different story. The website only managed to score a 68% in the safety test, one of the lowest scores out there for a wagering service. But at least it is well over 50%. Although, in the case of this website, the score doesn’t tell the full story. And that is because the platform is extremely young at only 200 days and has a projected age is just 364 days. But you should definitely still take caution when dealing with this site as a shortage and life expectancy sometimes means that it could be used for fraud. Even scam advisor tells you to take extreme care when giving out your private details to this company. To top that all off, this service might actually be linked to other high risk websites. This company does actually offer quite a lot of games that you won’t find on most other betting sites. They include the main titles that you would find such as League of Legends, Counter-Strike:Global Offensive and Overwatch. However, they also include esports such as Halo, Vainglory and Clash Royale. Although, there are basically no matches for those games, it is still nice to have them there in the case of matches actually becoming available. Matches offered for each game are about average and on par with most other sportsbooks, but it would have been nice to see them include some lower tier match ups. A problem with the betting options, for some people, is the fact that you can only bet on the battle winner. They don’t have other bets such as first to 5 rounds or any kind of handicapped odds. Odds offered by this company are actually quite good. They are competitive when compared to other places such as egb and pinnacle. And they are better than other sites such as Unikrn. 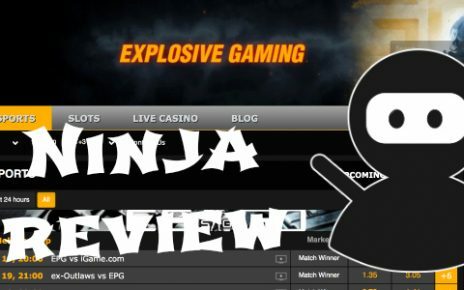 When looking at csgo matches, you will still be losing out on a little bit of money when you are comparing it to something like betway (ninja’s review) or pinnacle, even bet365 has slightly better odds. But, this is only by a small margin and it is not too big of a worry and to be honest, shouldn’t be the reason that you don’t place money on ArcaneBet. When it comes to other esports, the odds seem to be a bit worse than pinnacle, but for some reason, the odds for CS:GO are decent enough. There is a special 100% deposit bonus offered to our visitors! Just use our code NINJA100 in order to take an advantage of this really great bonus! There is a huge variety of deposit methods when it comes to this website. They allow for deposits via the main payment processors such as: Visa, Mastercard, Neteller, Paysafecard and Skins. But they also have some other weird ways to deposit such as: Sofort and Yandex. All the payment methods are clearly listed in the footer of the web page which is very convenient. If they weren’t placed there, you would make an account only to find out that the payment method you wanted, wasn’t there. Finding where to contact customer service on this platform is pretty difficult. It is actually not placed as one of the sections in the footer of the site. Instead, it is at the very bottom of the page near the Licenses and copyright. To make matters even worse, the text is gray on a dark blue background making it very hard to see. The contact methods provided are email and a phone number. There is also a live support window which can be toggled by pressing the “Leave a Message” tab in the bottom right corner. However, most of the time there is no one online. Like most other betting websites, ArcaneBet has a very good and well-designed mobile website, just like it’s desktop version. The top row of the site houses the menu and bet-slip buttons followed by the ArcaneBet logo below that. The menu button toggles a menu from the left side of the page which includes: the login, language, odds format and the time zone. The betslip button toggles your betslip from the right side. Scrolling down the main page will reveal more and more bets which you can place money on. In conclusion, this service is extremely good looking and offers some of the best rates out there. The company includes a wide range of deposit methods, but with a small consequence, the lack of customer service options available. However, this is made up for by the fact that so many games and matches are available. For most, this sportsbook will be great except, for the few that are complete fanatics about odds. Although, some may turn away because of the lack of reputation. 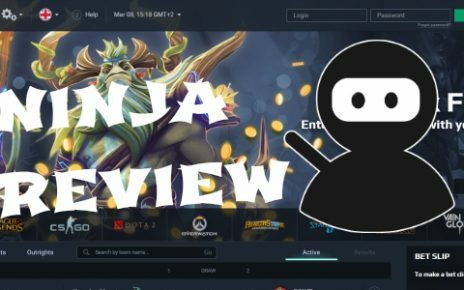 Loot.bet Review – The Best Esports Betting Site? KuyCase.com Review – CS:GO Cases With the Maximum Profit!